No really, why Falling Squirrel Outpost? We have a lot of trees – oak, cherry, pine, maple, and others – in our neighborhood. The squirrel-occupants of these trees are not known for their coordination often falling out of the canopy into our backyard, where they bounce and scamper along the fence and back onto the branches. 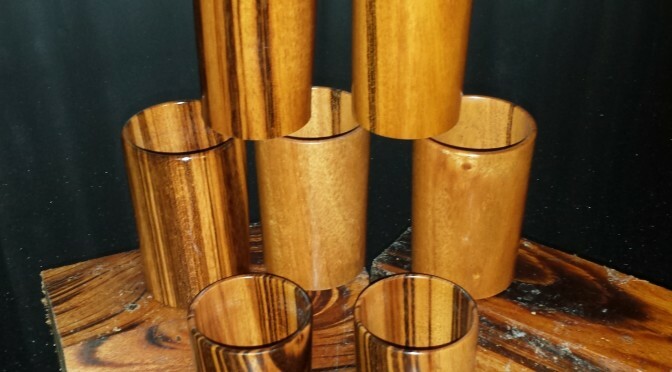 Wood items, including wine stoppers, bottle openers, wall clocks, coat racks, cork boxes, pendants, shot glasses, wine glasses, bowls, and cups. 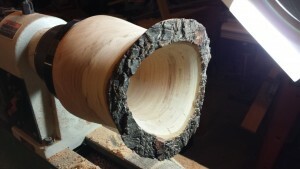 Generally, I take square chunks of wood and make them round-ish. I also make jewelry, specifically handmade weaves and scale items. How much does stuff cost? It depends largely on the materials used. What is the kind of wood? Or what is the jump rings or scales made of? Let me know what you prefer in terms of materials and cost and we can come up with a plan! How do I order something from FSO? Simply email me (info@fsoutpost.com) or “contact us” through this website with your order request and we’ll start a conversation!